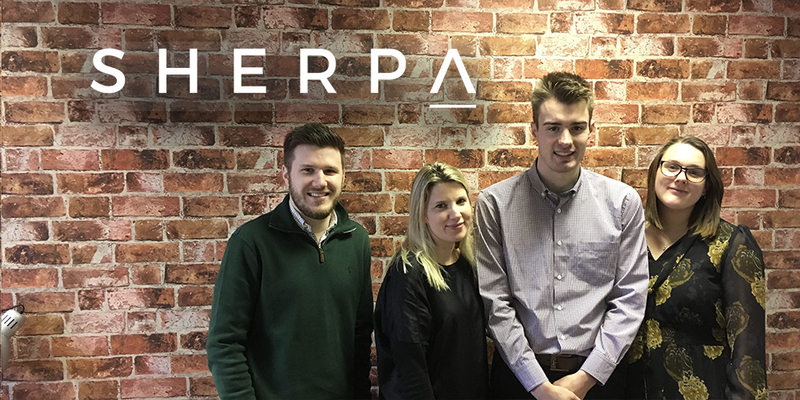 Lawrence Copeman and Zoe Rooke have joined the client services team, Luke Hartley will be heading up the agency’s Inside Sales team and Katie McCraith has joined Sherpa’s brand-side marketing team. Sherpa CEO, Tom Perry, states: “2018 was a great year for Sherpa and 2019 promises to be even better. The exponential growth of the agency has allowed us to create four brand new roles to ensure that we have the necessary capabilities and skillsets in-house to cater for and exceed our clients’ expectations and requirements. We are extremely proud of our values and culture at Sherpa and this is reflected in our recruitment success. We are flexible when it comes to members of our team and believe that their wellbeing is paramount. This is then reflected in their performance and client outreach. We are very much looking forward to another great year with the best possible team driving us forward as an agency”. Client Services Director, Lee Walker comments: “Zoe has joined us from Future Digital and brings extensive digital marketing experience in the computer software industry to her role as Projects Account Manager. She will be key in driving client projects forward. Zoe will be joined in the operations team by another new Account Manager, Lawrence Copeman, who studied Law at Lancaster University, before completing a Masters in Marketing. Also joining the client services team is Luke Hartley, who will oversee our inside sales resources. Luke has come to Sherpa following three successful years at Teletrac Navman and will be integral in supporting superior collaboration between sales and marketing teams”. In addition to the increased operations team, the Sherpa in house marketing team welcomes Katie McCraith, who is joining as Marketing Executive. Katie is an Anthropology graduate who joined the team after finishing a Master’s degree in Bioarchaeology. She developed an interest in marketing while working with the outreach and marketing team at a local museum. Sherpa Marketing Manager, Lois Dixon states “Katie is a great addition to the team and is joining at a time where Sherpa is rapidly growing and evolving as a brand. Katie’s analytical background will be crucial in our own marketing efforts, where research, metrics and optimisation are key. We are looking forward to taking Sherpa even higher”.